← OMG! He Popped the Question! Now What Do I Do? Wedding guests often complain that they couldn’t hear the bride and groom recite their vows or the words that go with their exchange of rings. This is especially true for outdoor weddings, which are very popular in the Pacific Northwest from June through September. As a wedding officiant, I carry my own wireless microphone setup: lavalier microphone, body pack transmitter, and receiver with cables for connecting to the audio system in use by the vendor hired for music and sound. Just in case they don’t have one for me. And because a handheld microphone is virtually useless when you are using two hands for the script and vows. And also because many handheld or on-stand microphones are useless unless they are within an inch or so of your mouth. Try taking that one virtually useless microphone and handing it to the bride and groom, most of whom have never used a microphone before, so that their guests can presumably hear them speak while they are trying to choke out vows or exchange rings and you just add to their stress without success. Before I became an officiant I did seminars all over the world. Carried my own wireless lavalier microphone setup. A transformer for European and Asian power. A box full of cables and adapters for the various connection needs in multiple countries. And it usually worked flawlessly. Not always so for weddings. Sometimes mine has frequency interference issues. 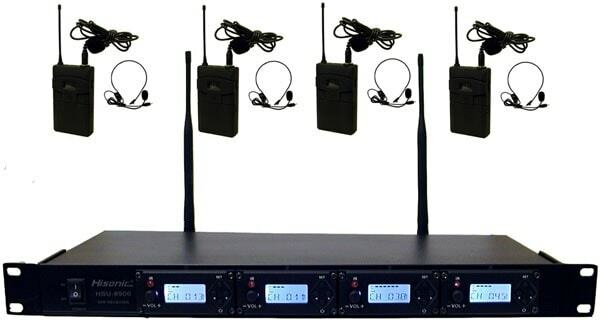 If the sound person has his or her own wireless lavalier for me, I’m a happy camper. But my microphone won’t pick up the voices of the bride and groom. A fairly important pair of people whose guests would really like to hear them, and not just me! So here is my plea: Invest in a SYSTEM with at least three wireless microphones and a mixer so that you can provide body packs and lavalier microphones for the bride, groom, and officiant. It is not prohibitively expensive and it will drastically increase your customer satisfaction. I just did a wedding today at a famous popular venue. That venue provided a useless microphone on a stand and a small amplifier and speaker with the quality of a child’s karaoke machine. It was pitiful, and far below the level of service that I would expect from such a prestigious venue at such a significant price. 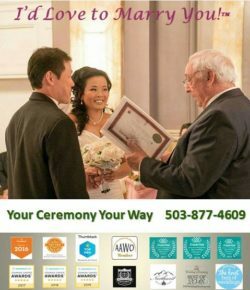 I’ve seen vendors, many of whom appear to be real professionals, with thousands of dollars worth of turntables, computers, mixers, amplifiers, speaker systems and other fancy equipment who somehow don’t even think about making sure that the couple being married can be heard. Please, people, make the needed investment. I’ll bet your client satisfaction scores will skyrocket! And one last bit of advice for brides and grooms: When you select your venue, or your DJ, musician, or other audio professional, make sure that you ask them if they provide the equipment that you comfortably need in order to be heard (and also maybe connected to your videographer). I’d love to hear from you folks, vendors and brides and grooms alike. Let me know what you think. And thanks for reading.